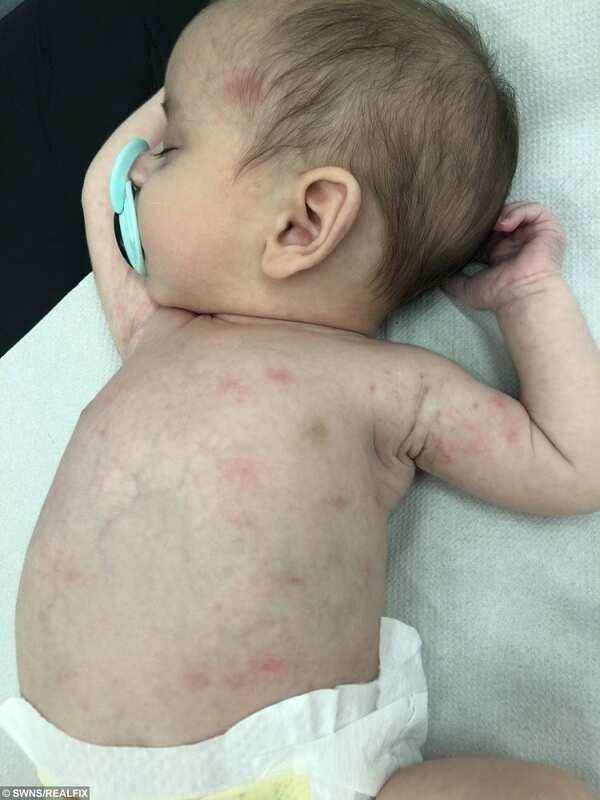 A mum watched in horror as a meningitis rash spread across her nine-week-old baby’s body while she endured an agonising 90-minute wait for an ambulance. Chloe Skinner, 20, took baby Reggie Thomas to a minor injuries unit as his temperature was soared while his hands and feet remained cool. The symptoms are a tell-tale sign of meningitis, yet Chloe was left to wait for an hour-and-a-half before an ambulance could take her to another hospital. During that time a purple and blotchy rash and spread all over young Reggie’s body. Collect photos from the family. 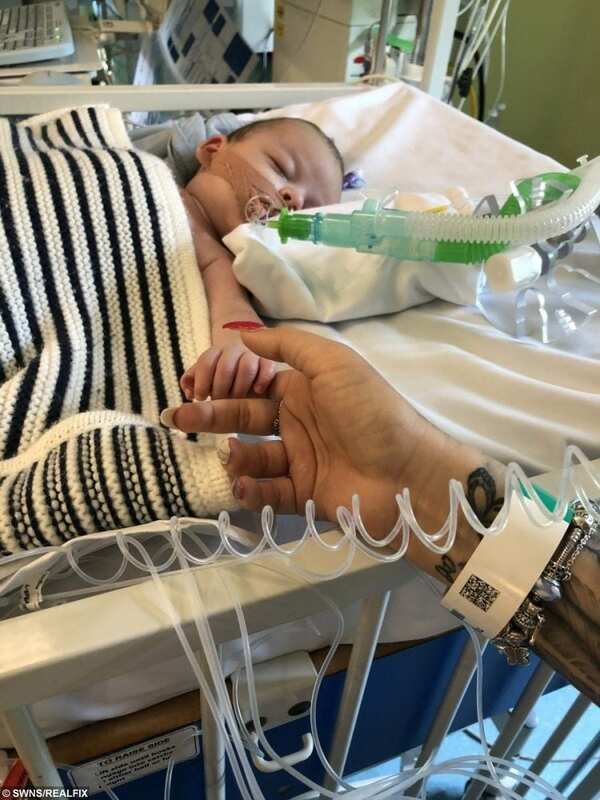 By the time he finally reached a mainstream hospital doctors told Chloe that Reggie was “seconds from death” and treated him with emergency antibiotics. He was placed in an induced coma and then transferred 170 miles to a specialist unit. 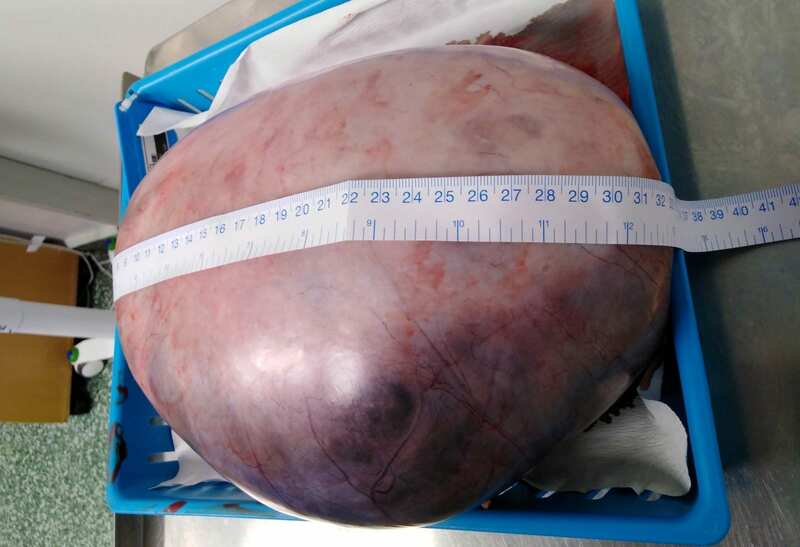 After six days of treatment he was allowed back home to Camborne, Cornwall, where he is expected to make a full recovery. Care worker Chloe told how she initially took Reggie to the minor injuries unit in Camborne Redruth Community Hospital on Thursday May 17. 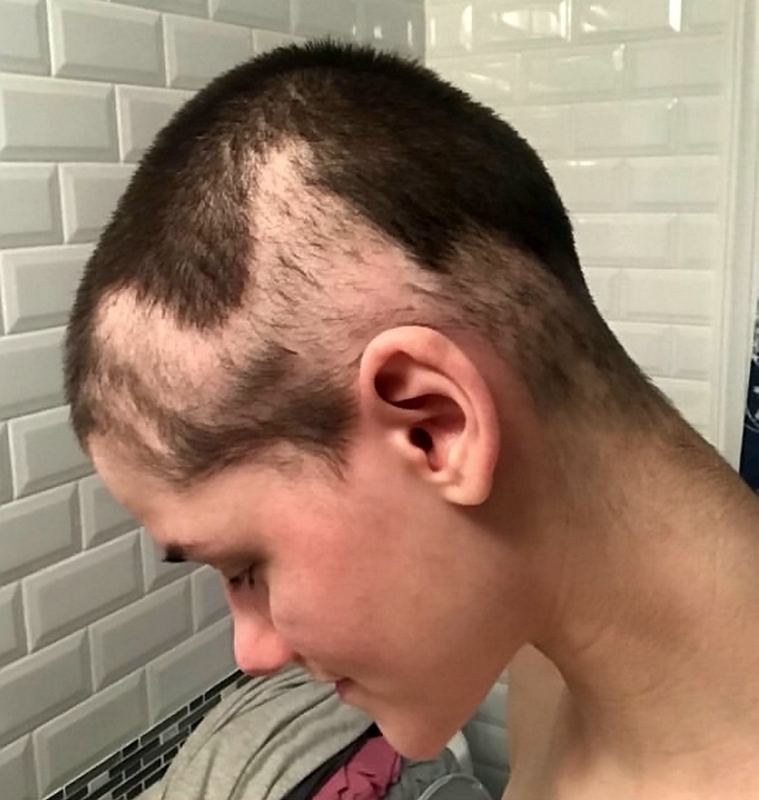 “We got to the hospital and they told me to wait for an ambulance,” she said. “Reggie was in his pram, and while we were waiting for the ambulance I took him out and laid him on the bed. “I took his baby grow off and a rash started to appear – It was red and blotchy. “I was waiting for an hour and a half, the staff there were pretty shocking. While I was waiting his rash started developing. They didn’t even test it with a glass. Eventually the ambulance arrived, and the young family were rushed off to the county’s major hospital – Royal Cornwall Hospital in Treliske. Chloe continued: “By the time we got there the rash was purple with small dots all over his body. “As soon as we arrived, there were four or five doctors on him. They were fast and quick. Collect photos from the family. Baby Reggie. “Reggie was seconds away from dying. If they hadn’t got the antibiotics into him straight away, Reggie would probably have died. 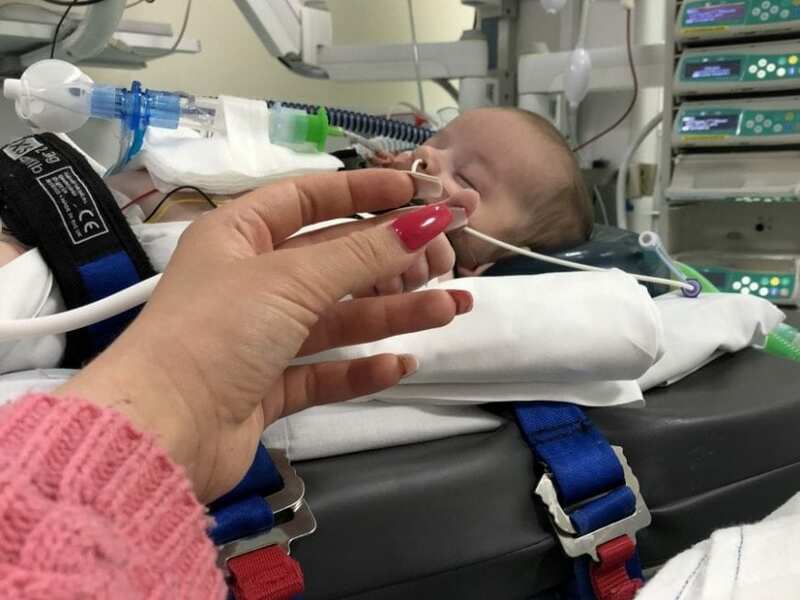 Baby Reggie was transferred to intensive care on May 18 where he was put into a coma so he could be properly cared for. 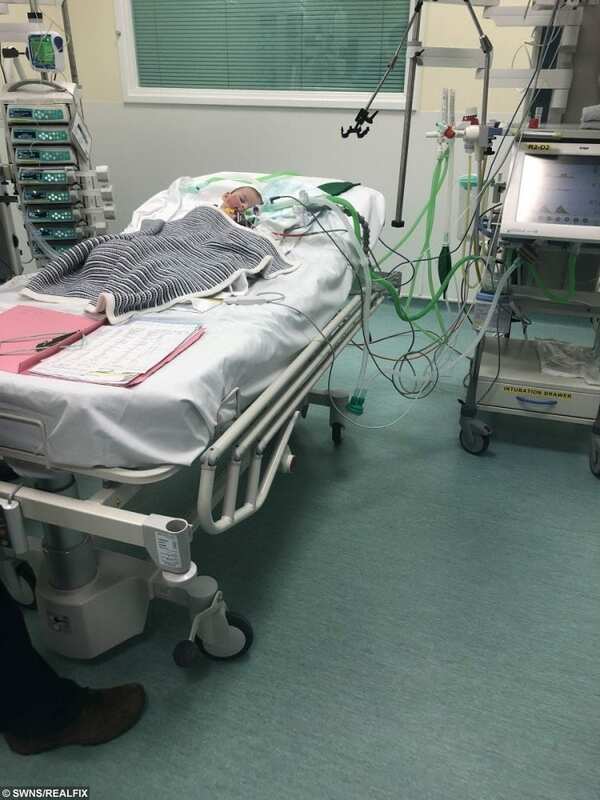 A team of specialists from Bristol Royal Hospital For Children then arrived at Truro and worked on Reggie for three hours to stabilise his condition. At 9pm he was driven to Bristol while Chloe, Reggie’s dad Kyle Thomas, 31, a scaffolder, and her mum Julie Skinner followed anxiously by car. Chloe Skinner and baby Reggie. Reggie was later brought out of his coma and Chloe was able to hold him for the first time since arriving at hospital. “I was really angry with myself and I was really scared and wondered if he was in pain,” she said. “I thought to myself, ‘He’s alive. Oh my god, this is my baby and he’s alive’. “The team at Treliske, the overnight team and those at Bristol have been absolutely incredible. “You hear of people slating Treliske for its care but for me, it wasn’t for them, Reggie wouldn’t be here now.